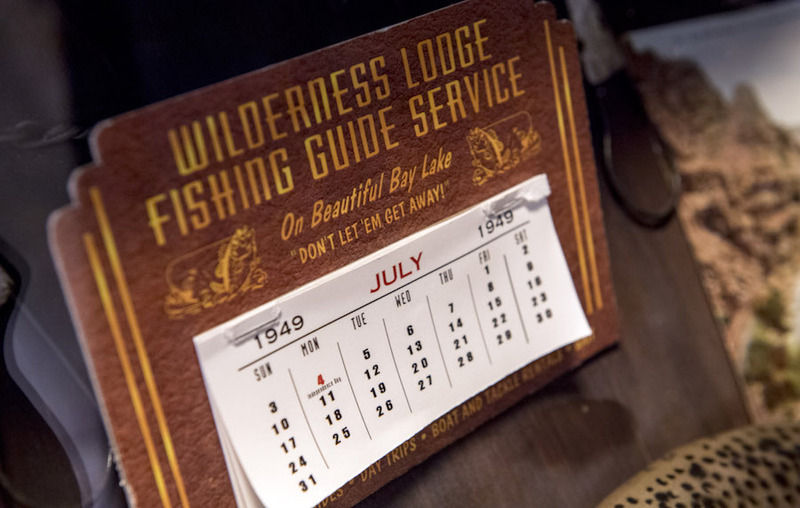 If you’ve visited Disney’s Wilderness Lodge over the last couple years, you probably saw and experienced the vast construction and changes happening at the resort. I’m excited to share that the construction has wrapped up and there are a number of new experiences at Disney’s Wilderness Lodge that I’m sure you will enjoy (when you aren’t taking a water taxi just around the river bend to Magic Kingdom Park). Swimming: The new Boulder Ridge Cove Pool dramatically expands and re-imagines (with an abandoned rock-quarry theme) the former Hidden Springs Pool, creating a completely new oasis between the new and existing villas, complete with a whirlpool spa and six shaded seating areas (available on a first-come, first-served basis). The new pool complements the nearby Copper Creek Springs Pool (formerly known as the Silver Creek Springs Pool), which features a 67-foot water slide, hot and cold whirlpool spas and an adjacent water-play area for kids. Lounging at the lake: The new Geyser Point Bar & Grille has elevated the experience of lounging around the lake, with its casual (and comfortably covered) seating areas, unique food items (American classics with distinctive tastes of the Pacific Northwest) and artisanal cocktails (featuring liquors from Pacific Northwest distilleries). The picturesque views of Bay Lake illuminate after dark with the nightly arrival of the famed Electrical Water Pageant. Pampering by the Springs: The new Salon by the Springs, officially opening soon at the site of the resort’s former Trout Pass Pool Bar, will be designed to offer a full menu of salon services, including manicures, pedicures and hair styling, with appointments bookable through Member Services or by pressing the Massage/Health Club button on your in-room phone at the lodge. 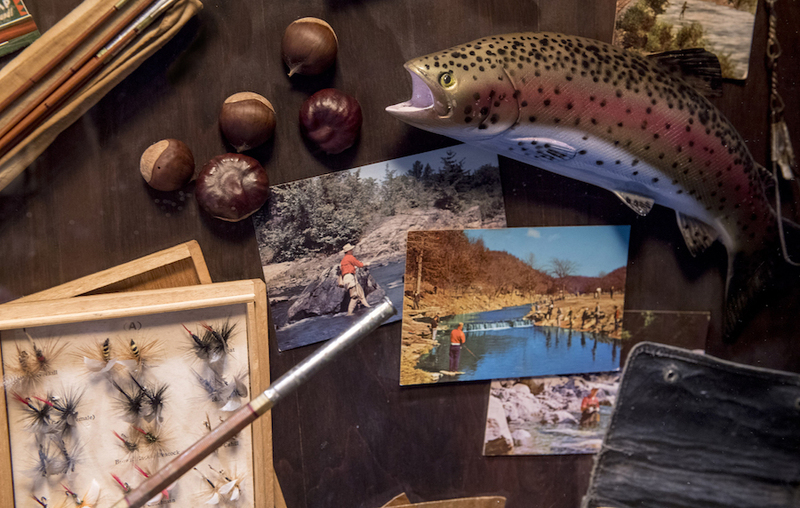 While these are three new ways to unwind in the woods, there are plenty of others. 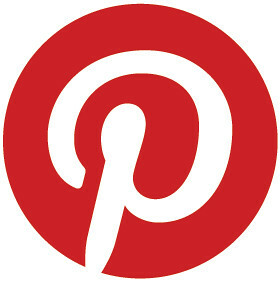 What are some of your favorite ways to spend the day at the lodge? This entry was posted in Disney, Disney World, Florida, Orlando, United States, Walt Disney World Resort and tagged Disney's Wilderness Lodge on November 10, 2017 by siera. 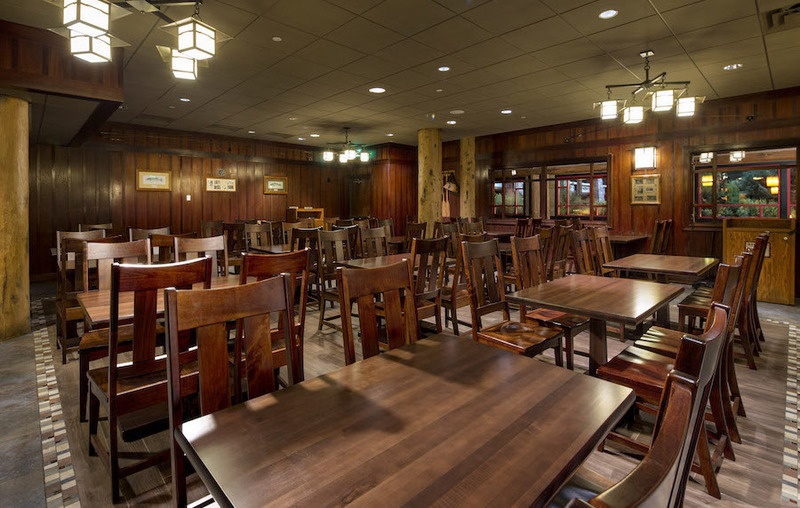 The rustic Roaring Fork at Disney’s Wilderness Lodge is open again, one of those spots favored by vacationers looking for a creative, quick bite that’s above average. Located in the main building with patio seating near Copper Creek Springs pool area, it’s a convenient stop for breakfast, lunch or dinner, with spacious seating inside – or get your food to go and head outdoors as the weather cools. 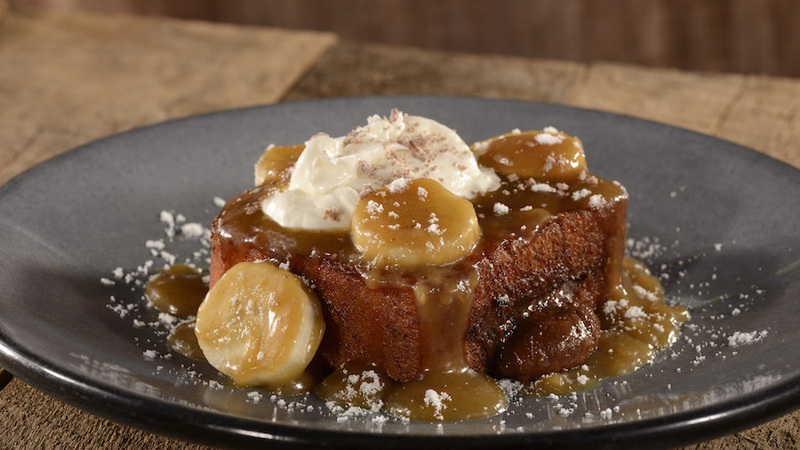 Breakfast is served 6-11 a.m., and while there’s plenty of grab n’ go options such as fresh fruit, pastries and sandwiches, the new Banana Foster’s French Toast and 10-hour Pulled Pork Cheese Grits with a poached egg are worthy of a leisurely start to the day. The popular Breakfast Flatbread returns, this one with sausage gravy, ham, eggs and Cheddar. For the first time, Roaring Fork is offering specialty beverages like the Gold Rush Latte (vanilla latte with caramel) previously featured in Territory Lounge, and now on the daily breakfast menu. 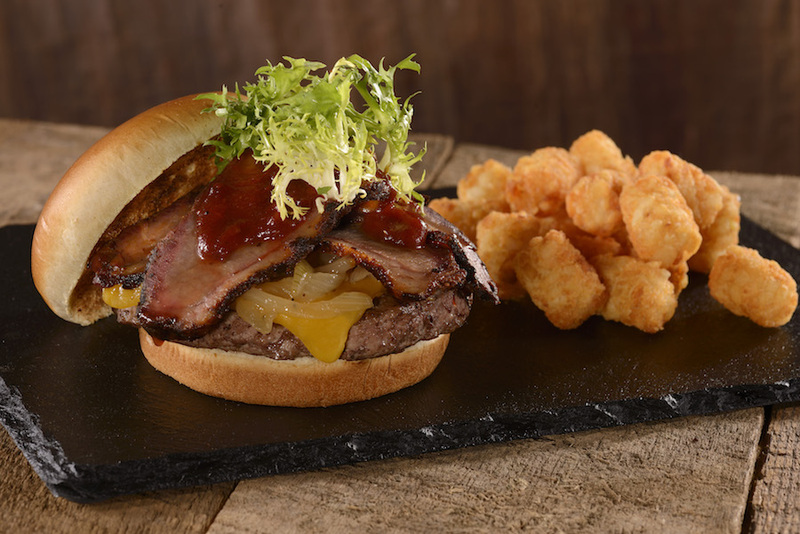 Lunch and dinner is served from 11 a.m.-midnight, and the big winner on the new menu is Chef Michael Bersell’s Brisket Burger with cheddar, cranberry barbecue sauce, cast-iron onions and frisée served on a sweet brioche bun. Or try the Grilled Chicken on Focaccia with roasted peppers and fresh mozzarella. 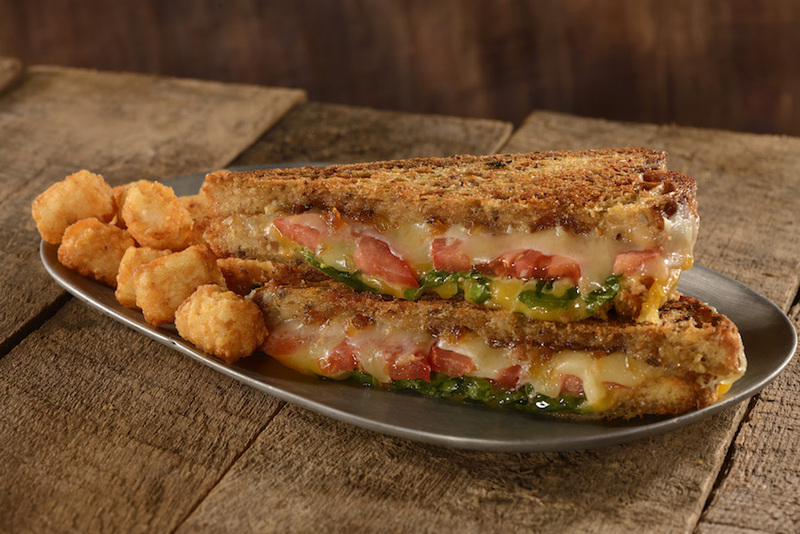 A Gourmet Grilled Cheese features cheddar, arugula, tomato and onion jam on multi-grain bread. 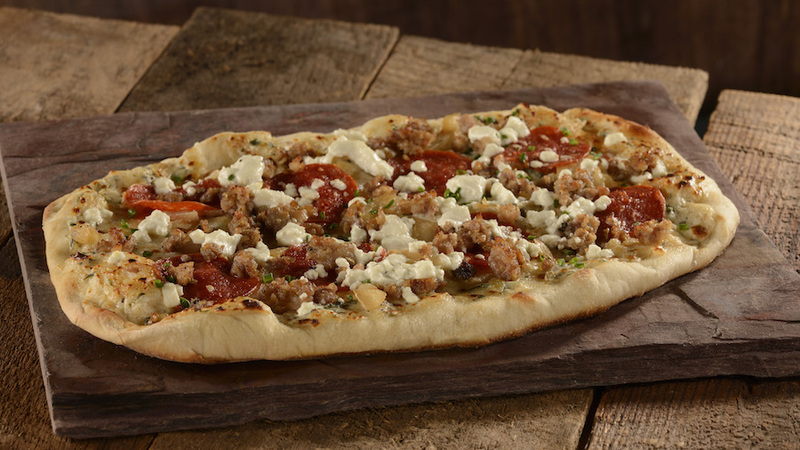 Flatbreads are back with two new options: Fennel Sausage and Pepperoni with caramelized onion and goat cheese, or an Asiago Grilled Chicken topped with peppers and onions. 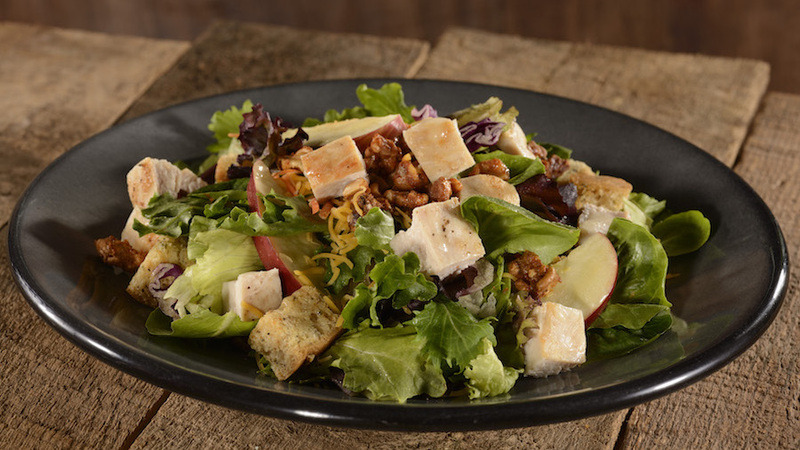 Fans of the popular Wilderness Salad with chicken, walnuts, apples and cheddar will still find both in the grab ‘n go area – or they can be made to order. Roaring Fork is open daily from 6:00 – 12:00 a.m.. 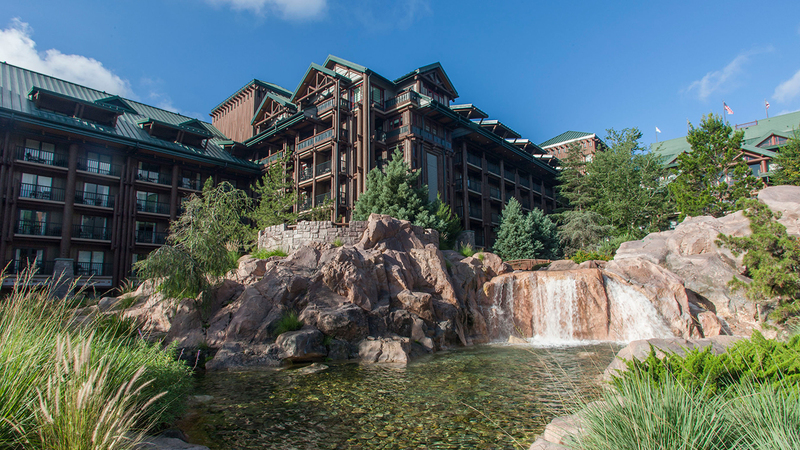 This entry was posted in Disney, Disney World, Florida, Orlando, United States, Walt Disney World Resort and tagged Disney's Wilderness Lodge, Roaring Fork, Wilderness Lodge on September 26, 2017 by siera. 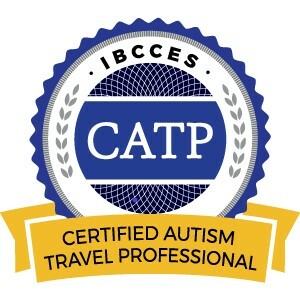 Do you have a large family who is interested in going to Disney World, but not sure where you should stay? There are options for families of all sizes and budgets to stay at a Walt Disney World Resort hotel. Here are the Walt Disney World Resort Accommodations for large families. You can choose from spacious accommodations at 2 Disney Value Resort hotels: Disney’s Art of Animation Resort and Disney’s All-Star Music Resort. Disney’s Art of Animation Resort invites your family to stay in the middle of your favorite animated films! You can enjoy spacious family suites that sleep up to 6 Guests and are designed after the films Finding Nemo, Cars, and The Lion King. Each family suite offers three sleeping areas, two bathrooms, and a kitchenette. Disney’s All-Star Music Resort is located near Disney’s Animal Kingdom theme park. You can jazz it up in family suites that sleep up to 6 Guests and feature a separate bedroom, pull-out sofas in the living room, 2 bathrooms and a kitchenette. Spread out and relax in the home-style comfort at The Cabins at Disney’s Fort Wilderness Resort! The spacious, secluded Fort Wilderness Cabins each sleep up to 6 Guests and feature more than 500 square feet of living, dining and sleeping area. Plus, you will also enjoy a private patio with BBQ grill and picnic table. 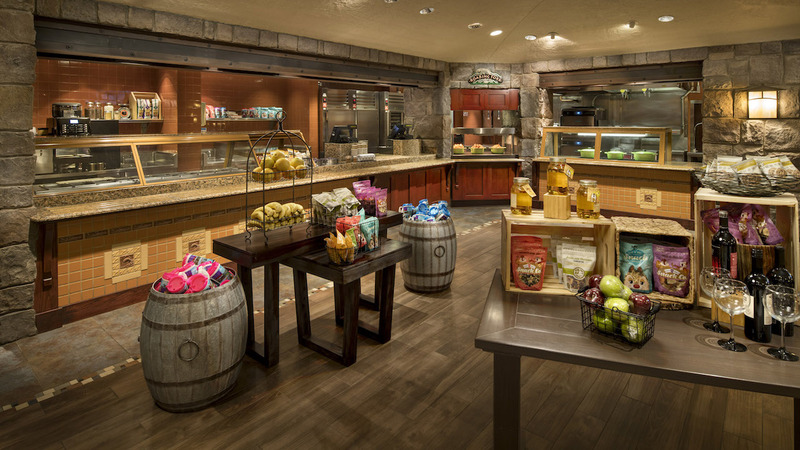 The kitchen is fully equipped, but don’t worry about the dishes—Disney will do them for you! 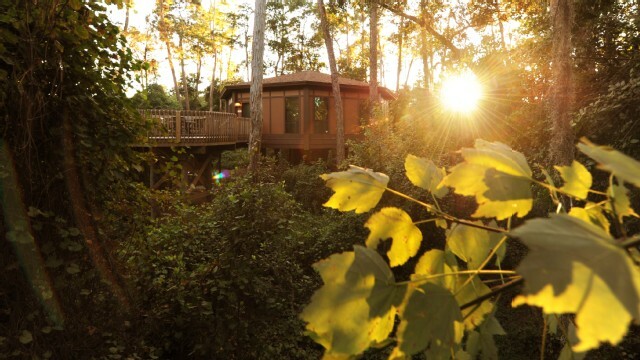 The Treehouse Villas at Disney’s Saratoga Springs Resort & Spa are stand-alone Disney Deluxe Villas nestled in natural forest glens just around the river bend from the bustling Downtown Disney area. The 60 three-bedroom vacation homes—elevated 10 feet off the ground on pedestals and beams designed to blend into the lush wilderness environment—sleep 9 Guests and feature modern luxuries such as cathedral ceilings, granite counter tops and flat-panel TVs. Would you like more information on your family’s Disney World vacation or one of these great resorts? 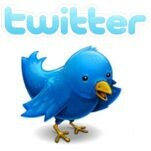 Email Siera at spreadingmagic@gmail.com for your free quote or more information! This entry was posted in Disney and tagged Bay Lake Tower, Disney World, Disney's All-Star Music Resort, Disney's Animal Kingdom Lodge, Disney's Art of Animation Resort, Disney's Beach Club Resort, Disney's Beach Club Villas, Disney's BoardWalk Inn, Disney's BoardWalk Villas, Disney's Contemporary Resort, Disney's Fort Wilderness Resort, Disney's Grand Floridian Resort & Spa, Disney's Old Key West Resort, Disney's Polynesian Resort, Disney's Saratoga Springs Resort, Disney's Wilderness Lodge, Disney's Yacht Club Resort, family suites, large families, treehouse villas on June 17, 2013 by siera.